We’ve been writing about graphene and its potential for years now, but this year at MWC in Barcelona we went hands-on with a number of prototype devices that actually use it. Graphene is a two-dimensional material that’s strong, transparent, flexible, and conductive. The possibilities for how it might be used are seemingly endless, but we’re interested in cool electronics and gadgets here at DT, and we found five noteworthy examples at the Graphene Pavilion. 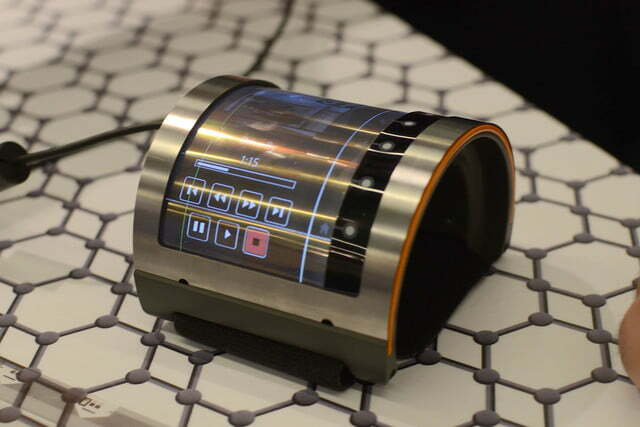 We saw two intriguing prototypes from FlexEnable that use graphene in slightly different ways. 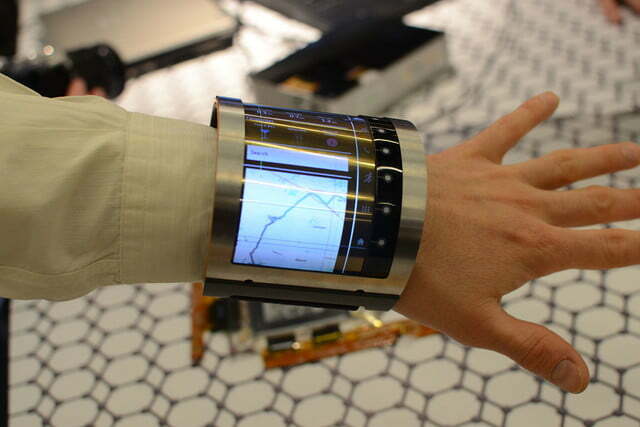 The most eye-catching was a curved organic LCD, shaped into a wrist-worn device. 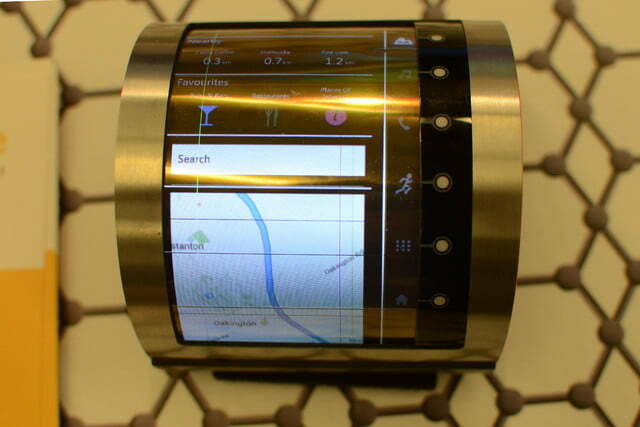 The display is based on a transparent graphene conductor integrated with a flexible transistor array. 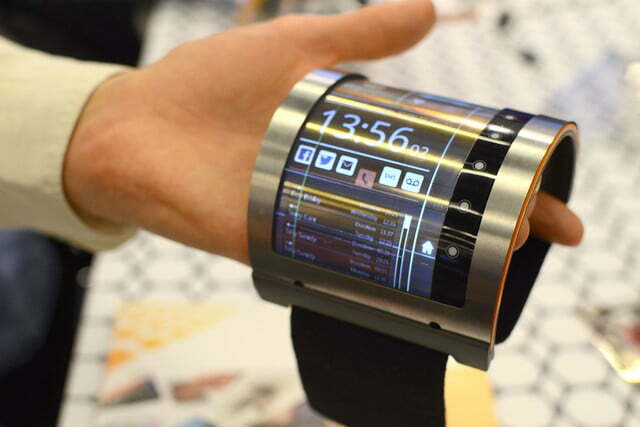 Flexible displays are enormously appealing for wearables, but they have many other interesting applications. For example, flexible displays like this could be used to cover the pillars either side of your windscreen in the car and, coupled with a camera, give you full visibility and eliminate your blind spots. If we take another step into future and imagine a day when manual driving and car ownership is a thing of the past, you might get into your driverless car for the day and touch the display to confirm your identity, bringing up your customized in-car display, which is wrapped around the interior. 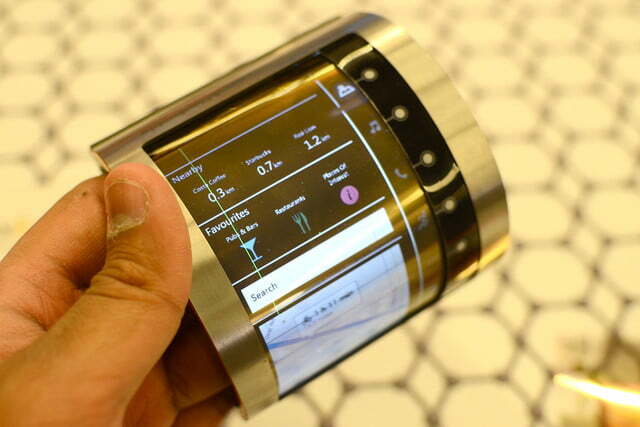 FlexEnable is already working with a number of hardware manufacturers to license and integrate the technology. 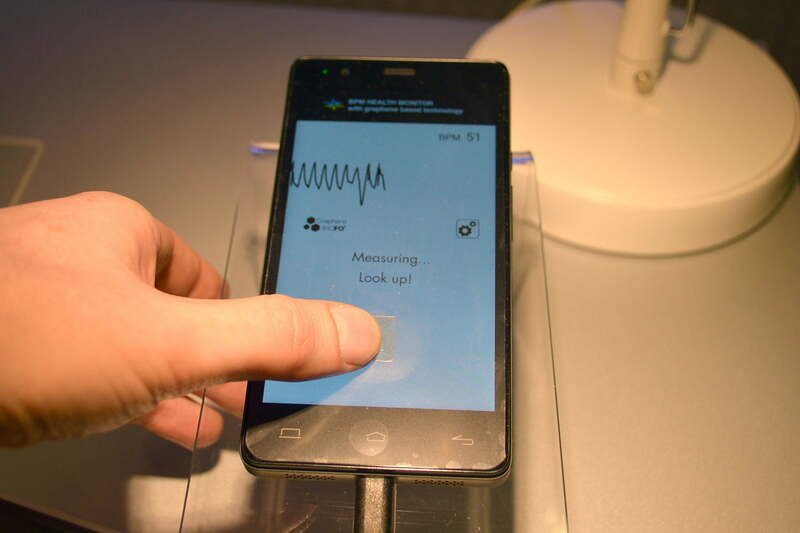 FlexEnable also had a flexible fingerprint sensor capable of outputting an image of your fingerprint in real-time. That’s something that could be wrapped around a steering wheel, the back of your phone, or even a gun grip, blocking access for anyone, but the owner. 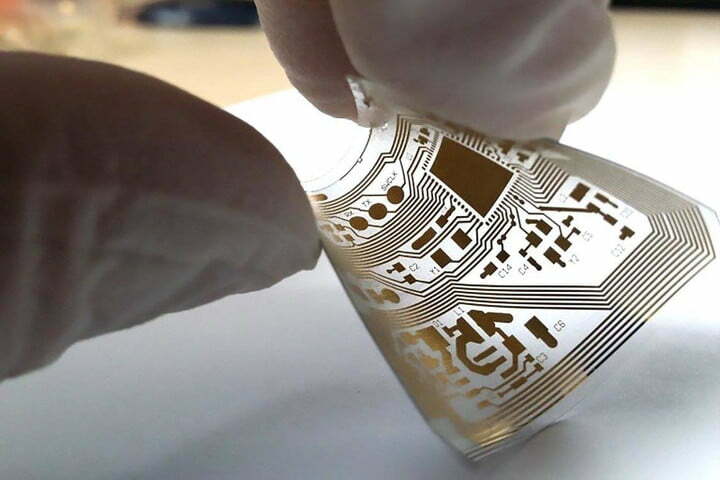 Once again, the graphene provides a conductive, flexible, and transparent base layer, but this time it’s combined with different transistors and sensors. It’s an incredibly versatile material. Imagine an external battery pack that can fully charge up in just five minutes. Zap&Go has created a sandwich of 50 thin aluminium foil layers coated in graphene ink. All these layers create a large surface area which allows it to charge up very quickly. But unlike other super capacitors it can discharge at the correct rate to juice your phone. The prototype version we saw only holds around 800mAh, but it’s early days for the technology. The makers expect to be able to increase the capacity to hit 3,000mAh within the next few months, which is enough to fully charge a typical smartphone. It is quite large, and it will remain so, because it needs that surface area, but Zap&Go also has plans to license the tech, so it can be built into everything from electric drills to vacuum cleaners to hoverboards. 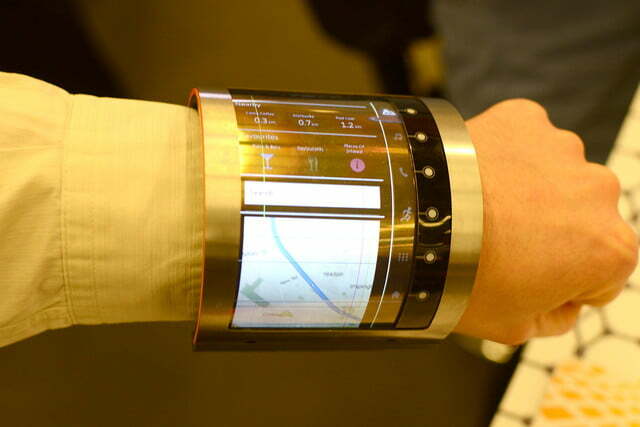 A thinner sandwich with fewer layers could also be built into a curved shape for wearable devices. There are other advantages to this graphene technology. A standard battery pack of the type we all use today relies on lithium ion technology which allows a certain number of cycles before it starts to degrade. After being recharged 500 times or so, it won’t be capable of holding as much power anymore. Graphene battery technology has no limit in terms of charges and discharges because there’s no chemical reaction inside. It’s liable to be expensive when it does come to market, somewhere in the region of $150, but that will come down in time and it could be a cheap price to pay if it’s the only battery pack you ever have to buy. Virtual reality is huge right now and it’s all over the show floor at MWC, but there are still some control issues. What if you could slip on a pair of gloves with flexible graphene sensors inside capable of picking up on gestures and changes in temperature? Nokia R&D has been working on creating these sensors in thin strips which could be easily accommodated in gloves or other wearables. The different sensors can be calibrated to trigger different things. Right now, they’re working on making gestures and temperature changes light up different LEDs, just to put the idea across. 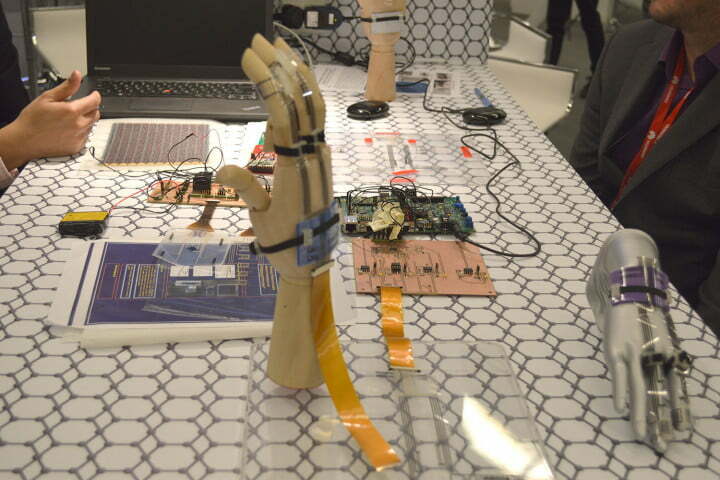 These sensors are very thin and very flexible, so they could be integrated easily into clothing. The final graphene-based sensor that caught our eye was developed by the Institute of Photonic Sciences (ICFO) which is a partnership between the Catalonian government and the Technical University. 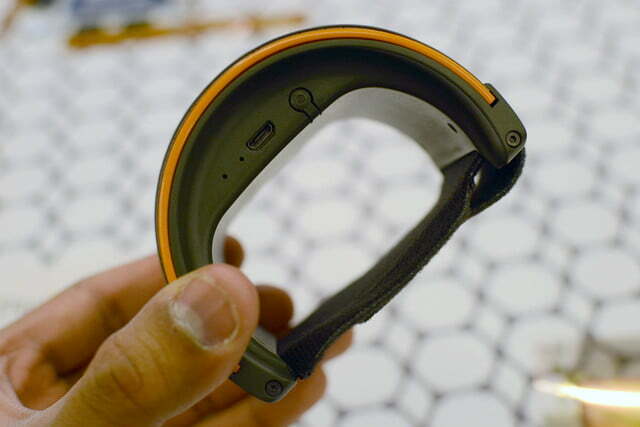 It’s an accurate heart rate sensor that’s flexible and transparent. You can place your thumb or finger on the panel and see your heart rate on the screen. It’s fast and accurate, with a high signal to noise ratio. One of the most important differences between this and the kinds of heart rate sensors we have in fitness trackers and smartwatches right now, is that it doesn’t require its own light source. This graphene sensor works with ambient light levels and it’s very durable. It could be used for health monitoring as an obtrusive patch on the wrist, or companies could build it into new lines of wearables. These are all still prototypes, but they offer compelling advantages and it does feel as though the barriers to graphene adoption are falling away. We’re hopeful that at least a few of these potential applications are going to be realized in devices you can actually buy within the next year.